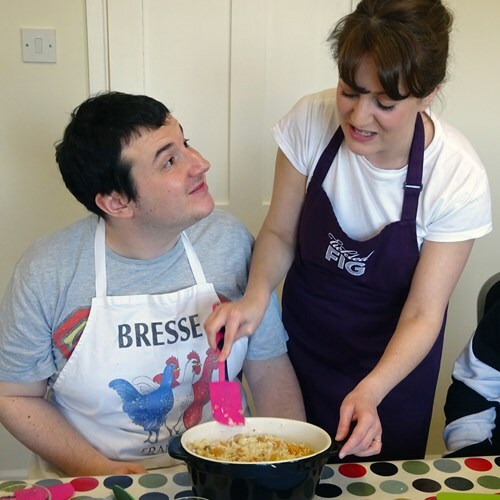 Tickled Fig runs inclusive cookery lessons for adults with care and support needs. 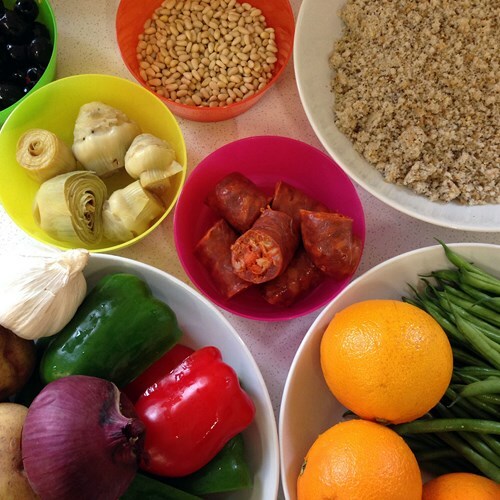 Our mission is to increase healthy eating practices amongst people with learning disabilities. 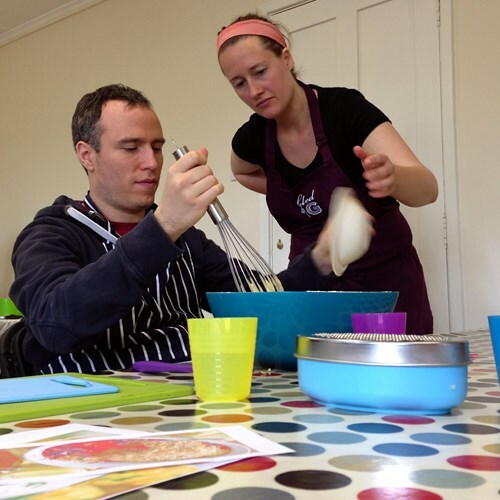 Our inclusive cookery lessons increase self-esteem, develop social skills, increase confidence to try new things, increase personal resilience and flexibility, and offer a fun learning experience with no glass ceiling. During our healthy cookery lessons clients learn new techniques, experiment with new or unfamiliar ingredients, gain an appreciation of food provenance and seasonality, understand the importance of nutritional balance and portion control, learn safe and hygienic methods of cooking, and build healthy eating routines. Discreet short-term courses offering an introduction to cooking. Great for those looking to introduce basic skills and increase confidence. Ongoing lessons for clients with a basic knowledge of cookery but requiring further instruction in varying techniques and further training in nutrition. Clients in this group can work towards an advanced level of tuition or, depending on their needs, may benefit from ongoing tuition at this level. Ongoing lessons for clients with strong cookery skills and confidence, providing a fun but challenging recreational activity plus the opportunity for continuing personal development. Both Improver and Advanced level sessions can be punctuated with themed lessons or short courses bringing in visiting consultants in specialities such as bakery, sugar craft and confectionary. For group sessions we have found that a group of young people already familiar with each other works especially well. We suggest a group of 3 – 4 for maximum benefit. Contact us to discuss running a trial session. For the personal assistants and teams supporting vulnerable adults, we offer a one-day course with theoretical and practical teaching, providing an introduction to the basics of nutrition, food hygiene and meal preparation. These courses can be offered at any point during the year, and are available on an individual or group basis. We also offer refresher courses as your support teams grow and change. We are happy to run trial sessions to get to know clients, in private or group tuition, and we welcome any information our clients feel comfortable sharing with us. Support Plans and Personal Passports are especially helpful as they help us pitch the tuition correctly. To learn more about our pricing, please visit About our Cookery Lessons. Here you will also find information on the benefits of group and private tuition. Contact us if you would like to learn more about our inclusive cookery lessons for individuals or groups and we can organise a trial session.